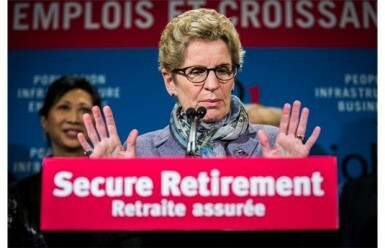 CARP members will no doubt recall that the Ontario Retirement Pension Plan (ORPP) was first proposed in the minority Liberal Government’s 2014 Budget tabled May 1st, 2014. The budget was not adopted in May because the Opposition parties triggered an election. On June 12th 2014, Kathleen Wynne’s Liberals were re-elected with a majority government and two days later (June 14th) they re-introduced the same provincial budget. Premier Wynne appointed Mitzie Hunter (Scarborough – Guildwood) as Associate Minister of Finance for the ORPP. In late June, the Premier convened a roundtable on pensions with members of the government’s Technical Advisory Group on Retirement Security along with the Minister of Finance and the new Associate Minister of Finance OPRR. The roundtable focused on discussing the best way to forge ahead with the implementation of the ORPP. The government also heard from stakeholders, including CARP. All Ontario workers would eventually participate with the exemption of those whose incomes are too low and/or those who are already participating in a comparable workplace pension plan. Currently, two thirds of Ontarians do not have a workplace pension plan. Benefits to be calculated based on an intended replacement rate of 15% of an individual’s earnings, to a maximum annual earnings threshold of $90, 000. Contributions would be determined so that new benefits are fully funded, shared equally between employers and employees, not exceeding 1.9% of earnings each, to a maximum annual earnings threshold, but earnings below a certain threshold would be exempt from contributions. With annual contributions rates projected to total approximately $3.5 billion, the plan would offer professional management at low rates and secure predictable income in retirement. The government has said that they will work with other provinces who express an interest in the ORPP and that they will strive to make the ORPP portable across the country. They have also said that if the Federal Government agrees to expand the CPP, the ORPP could be integrated with the expanded Federal scheme at that time. What will this mean in dollars and cents? For a worker earning $45,000 annually, the monthly contribution would be $65 with a maximum annual payout of $6,410. 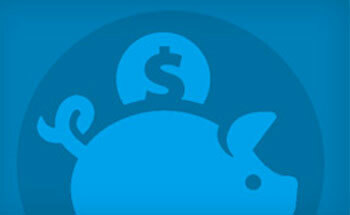 Monthly contributions would rise to $105 with a maximum annual retirement benefit of $9,970 for someone making $70,000. For a $90,000 earner, monthly premiums would be $135 with a maximum annual retirement benefit of $25,275. What have CARP members said about the ORPP? In May 2014, CARP polled its members on the proposed ORPP… A full 80% said they supported the proposed ORPP and 70% believed that other provinces should follow suit. The strongest support is still reserved for the CPP, which CARP members say is a retirement savings plan they pay into, or a retirement insurance plan. Only 5% of CARP members said they would call it a “payroll tax”.